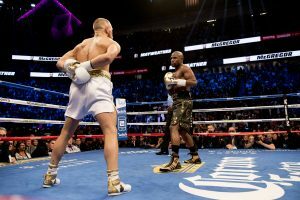 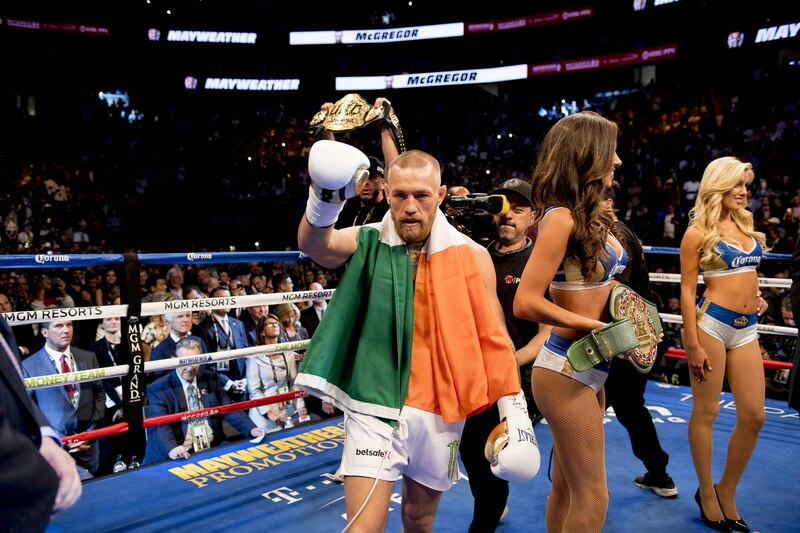 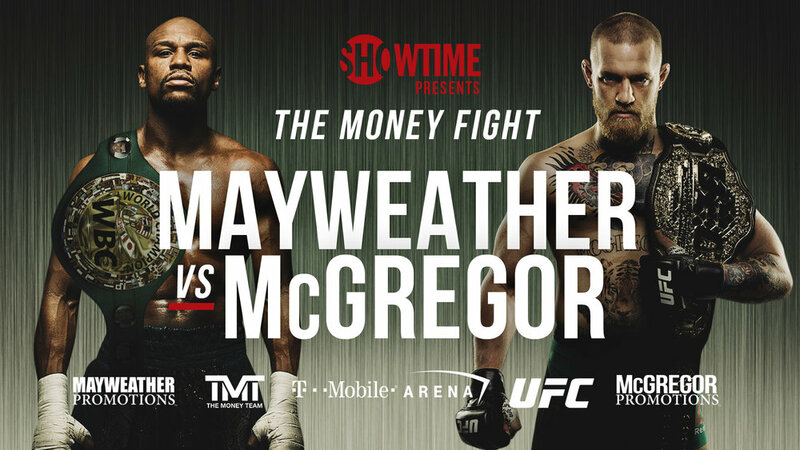 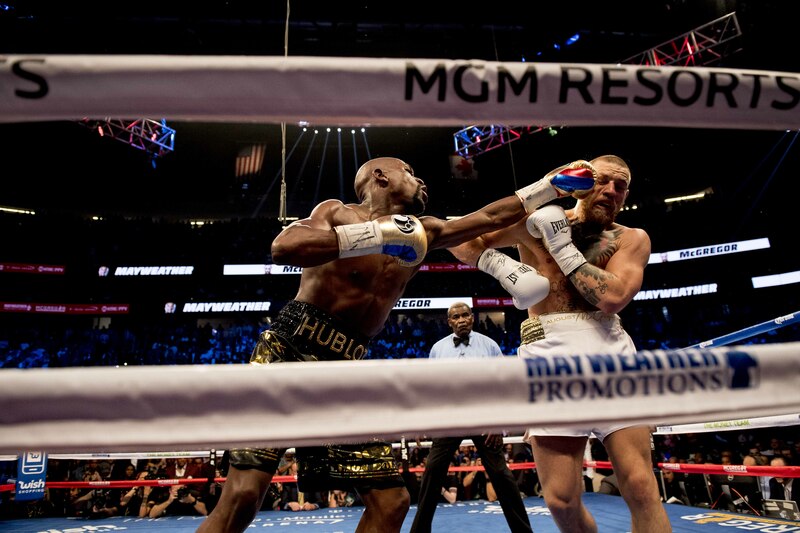 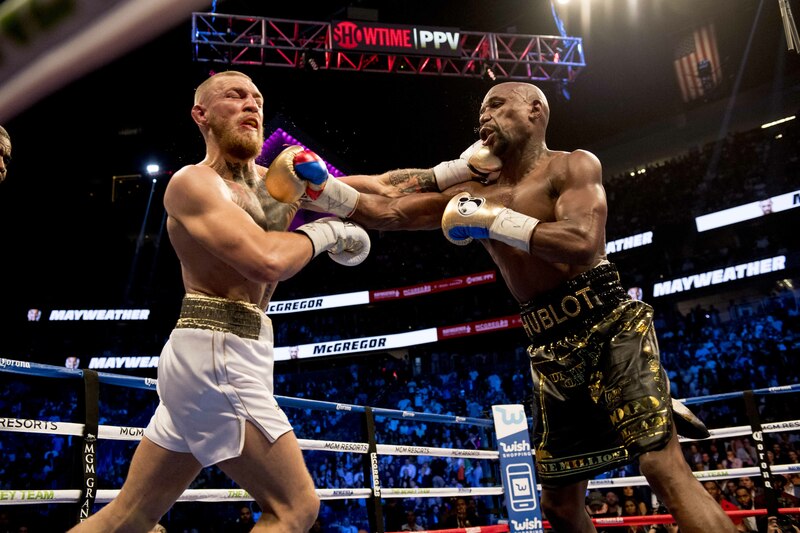 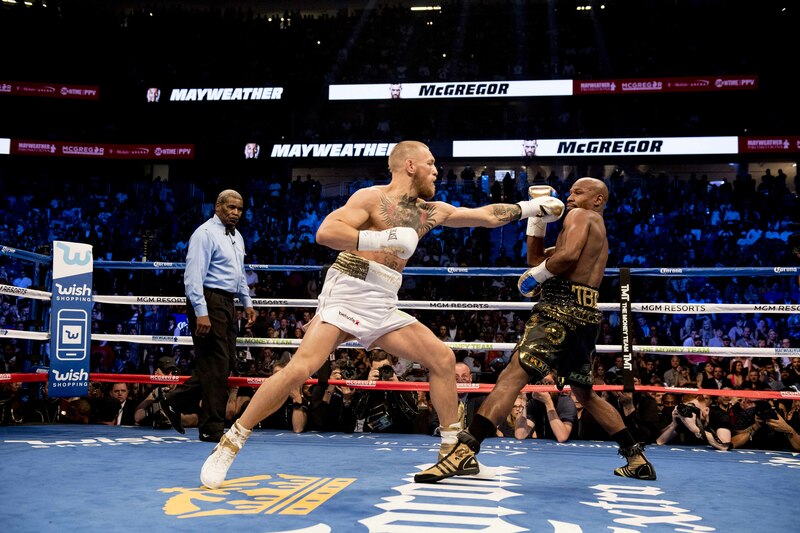 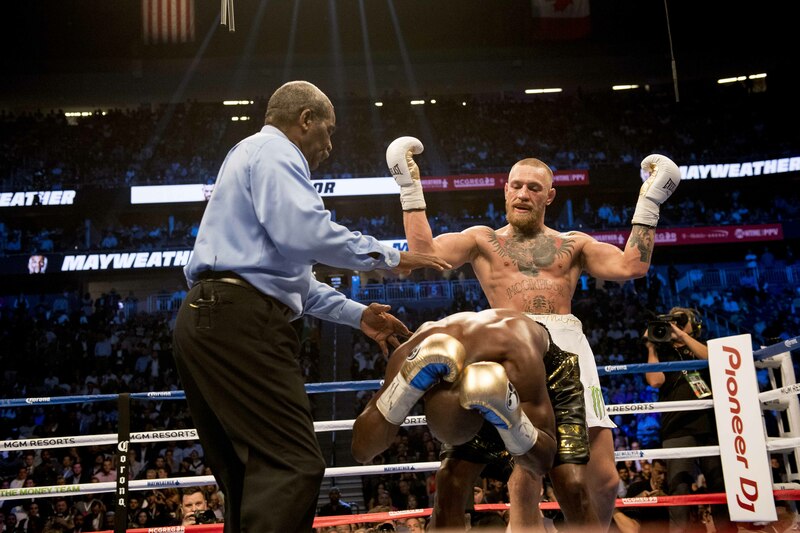 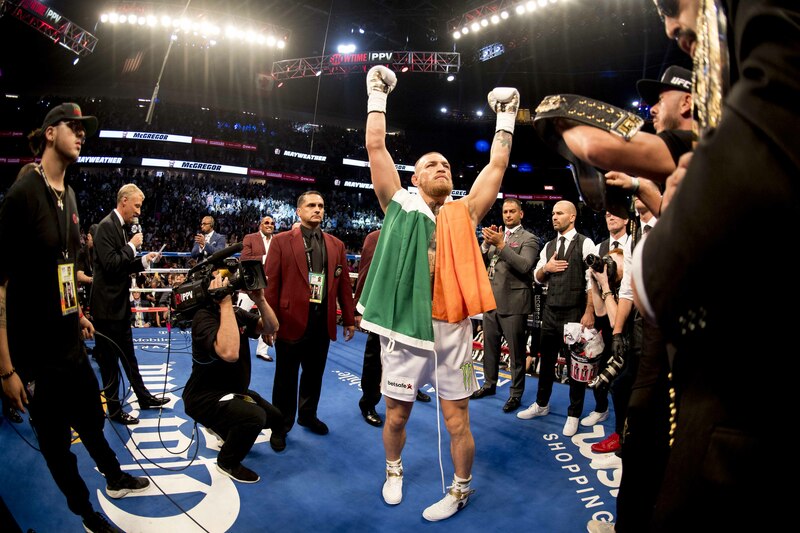 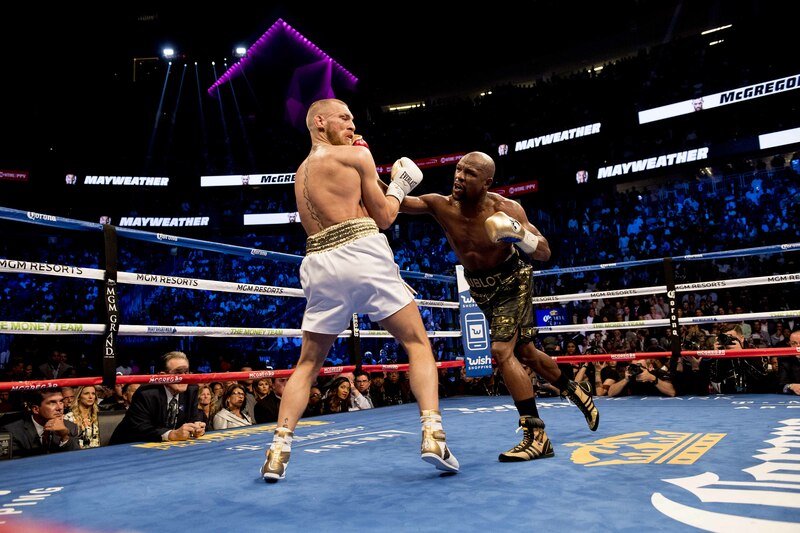 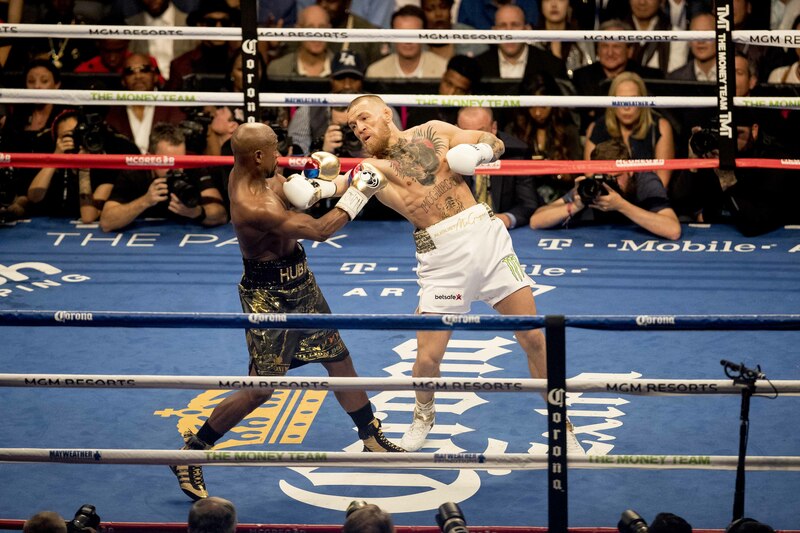 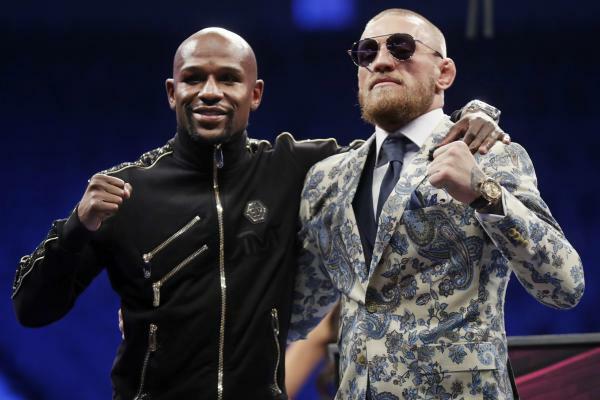 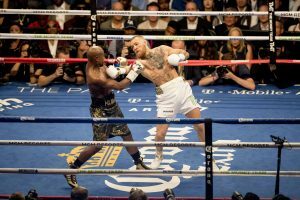 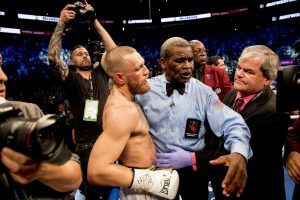 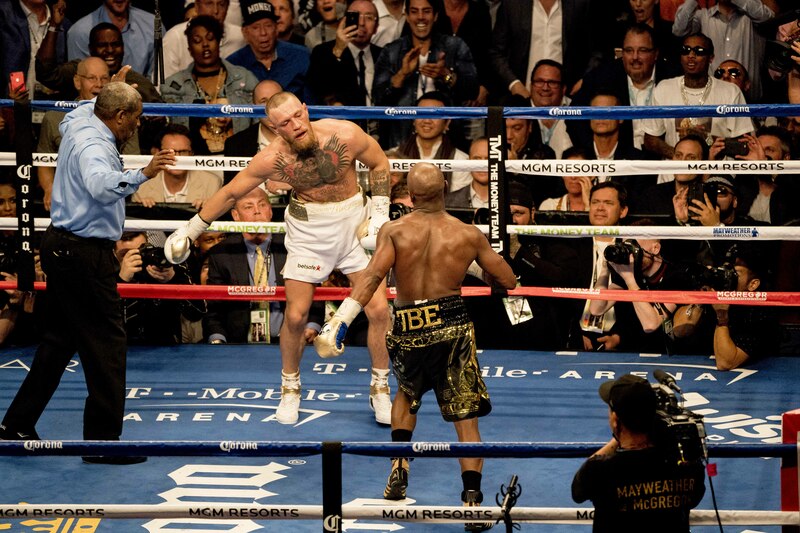 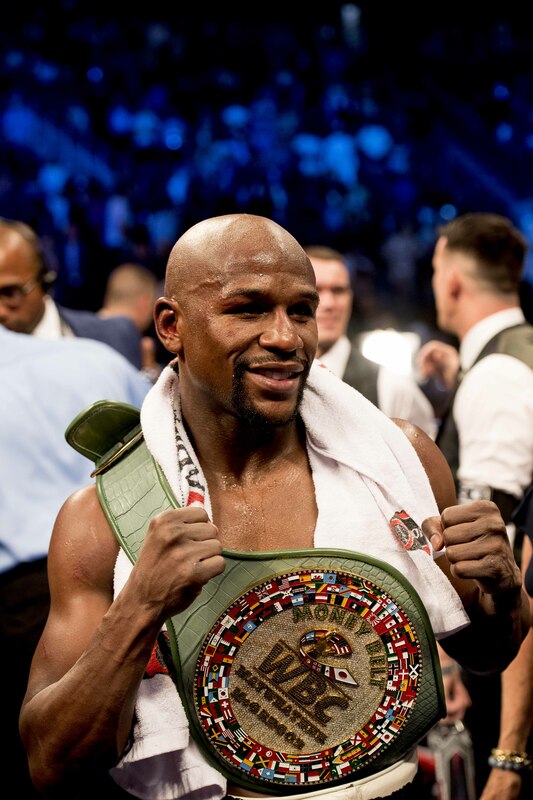 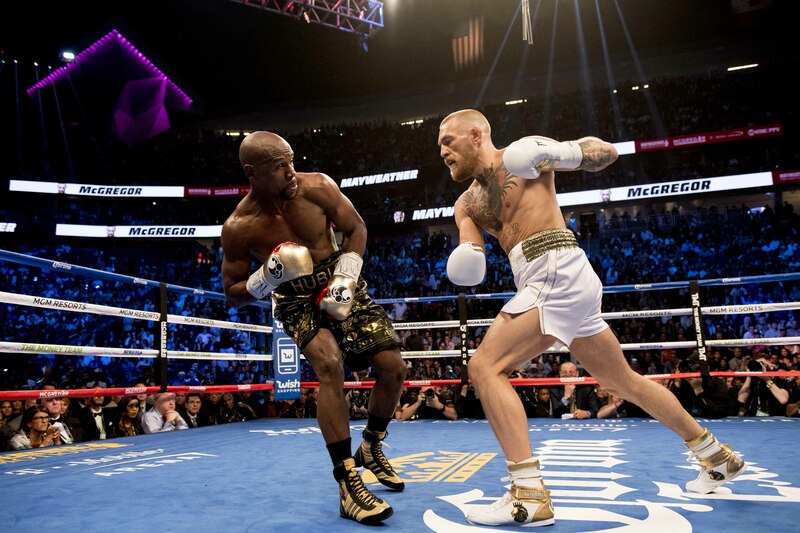 The mega hyped Money Fight – between WBC legend Floyd Mayeather Jr. and UFC phenom Conor McGregor – ended with Mayweather over McGregor with a TKO in the tenth round. 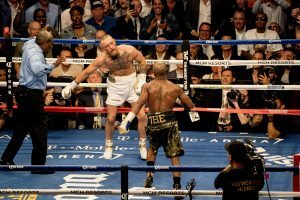 McGregor fared better and lasted longer than many expected against the undefeated boxing phenom in a boxing match. 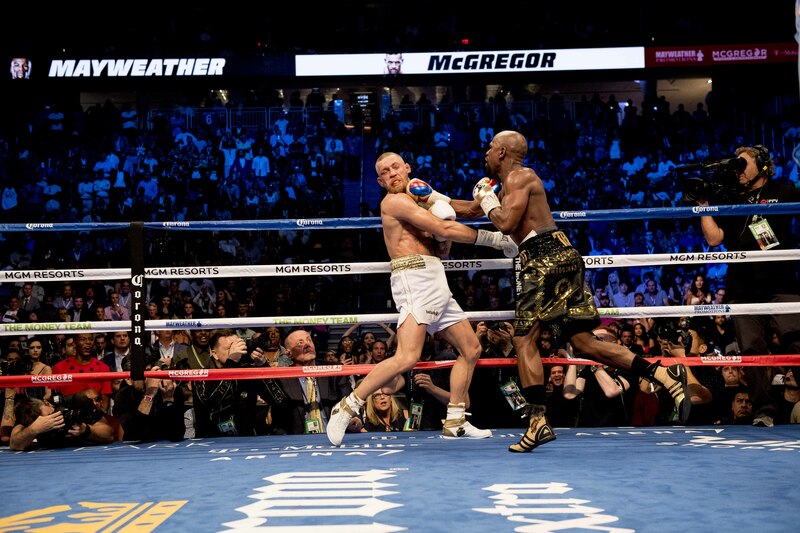 Both put on an entertaining spectacle. 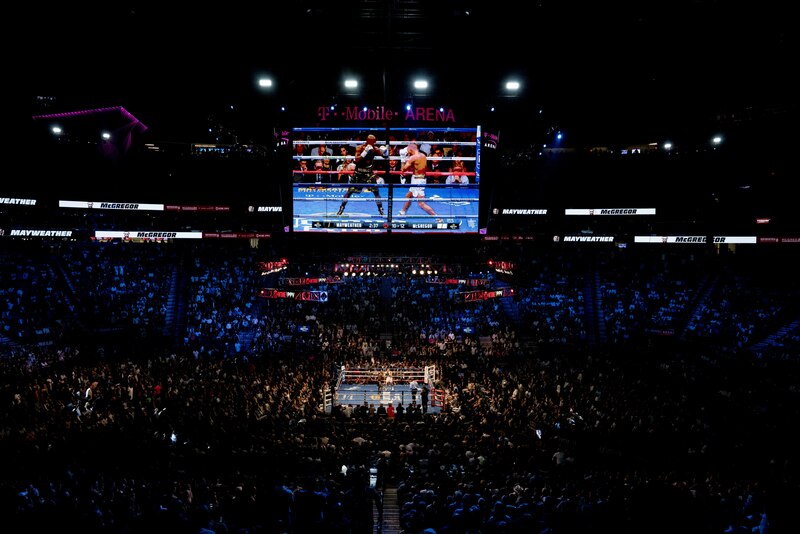 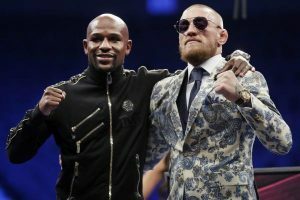 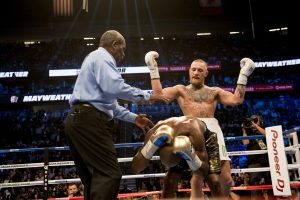 Future hall of famer Floyd Mayweather got his 50th win at T-Mobile Arena in Las Vegas Saturday night, but in his final prizefight, he got a fight from UFC lightweight champion Conor McGregor, who gave quite the account of himself in his first professional boxing match before getting stopped in the tenth round. 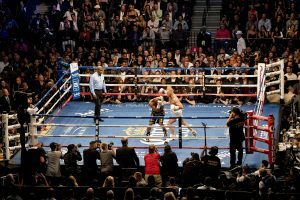 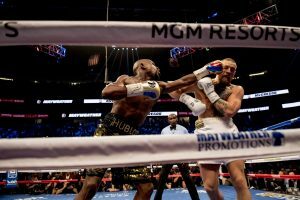 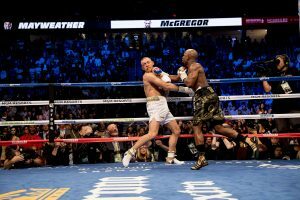 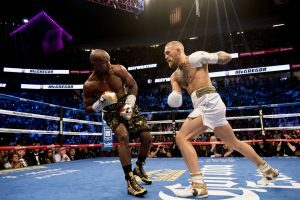 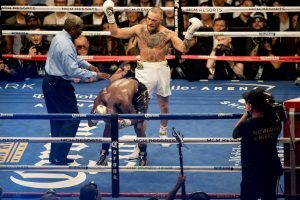 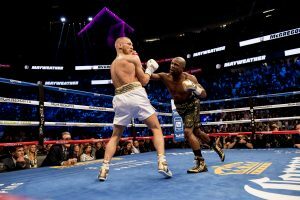 …A big opportunity for McGregor was lost early in round nine, as a body shot that rocked Mayweather was called a low blow by Byrd. 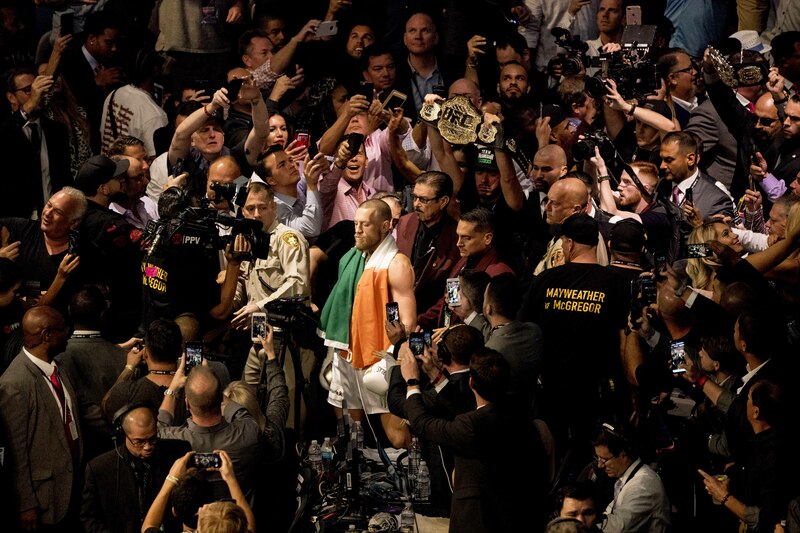 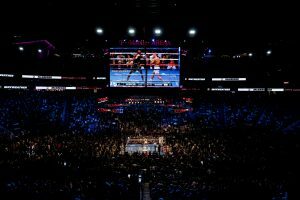 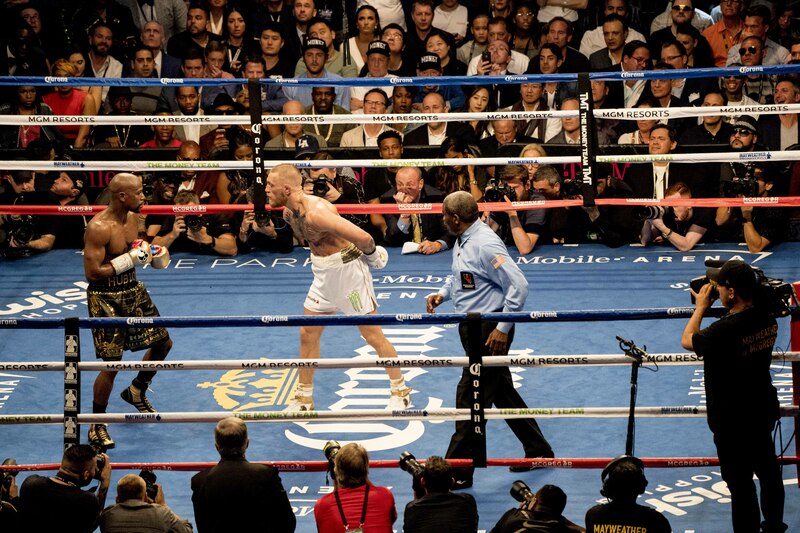 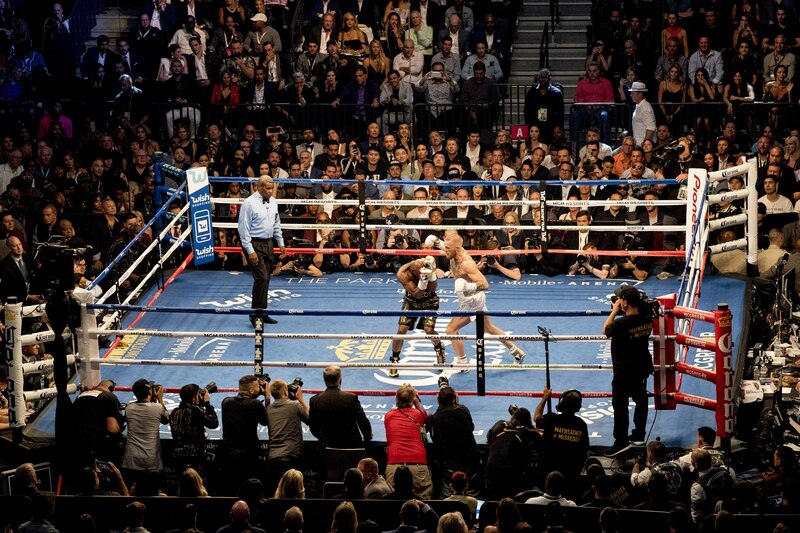 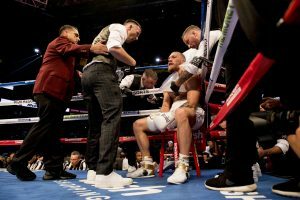 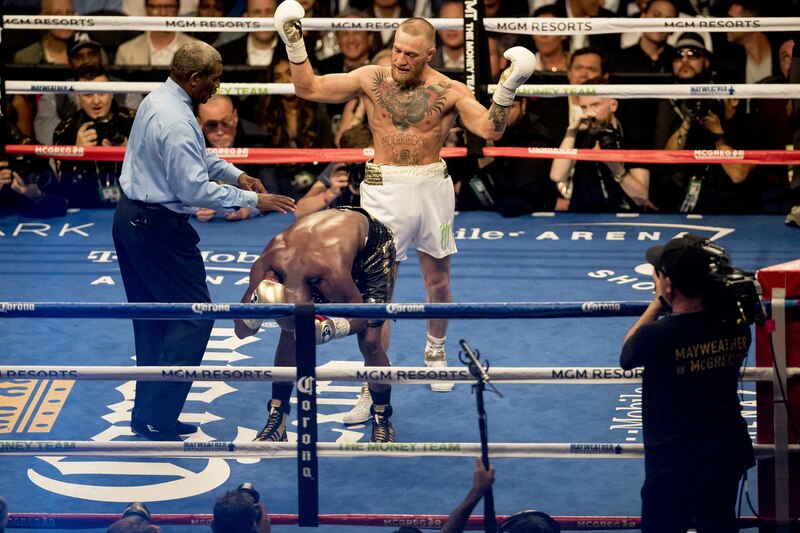 And while Mayweather let McGregor fire off shots for a spell, it was only to open up the tiring Dubliner for several heavy blows that put McGregor in serious trouble. 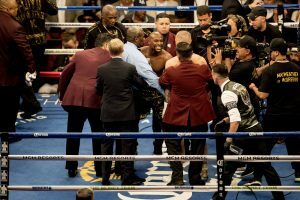 One round later, Mayweather closed the show, with several hard right hands rocking McGregor and sending him into the ropes. 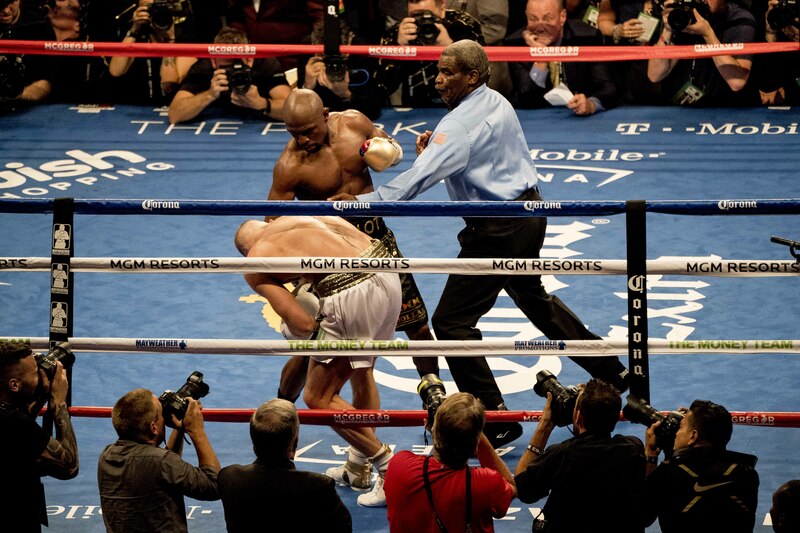 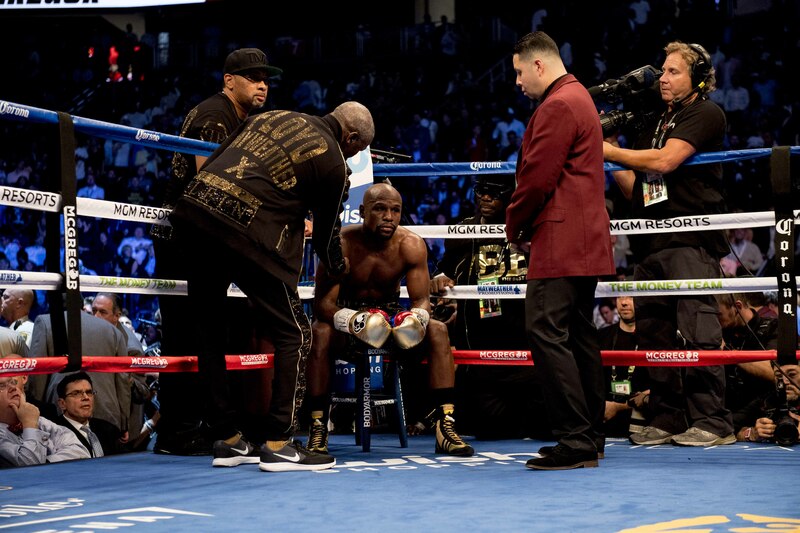 “The Notorious” one didn’t go down, but Byrd ultimately had seen enough, halting the fight at 1:05 of the tenth stanza. 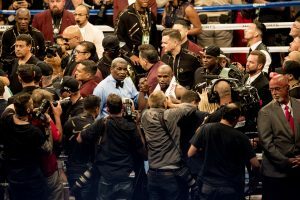 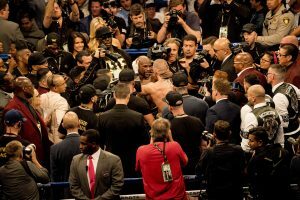 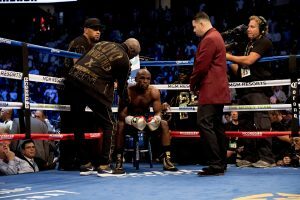 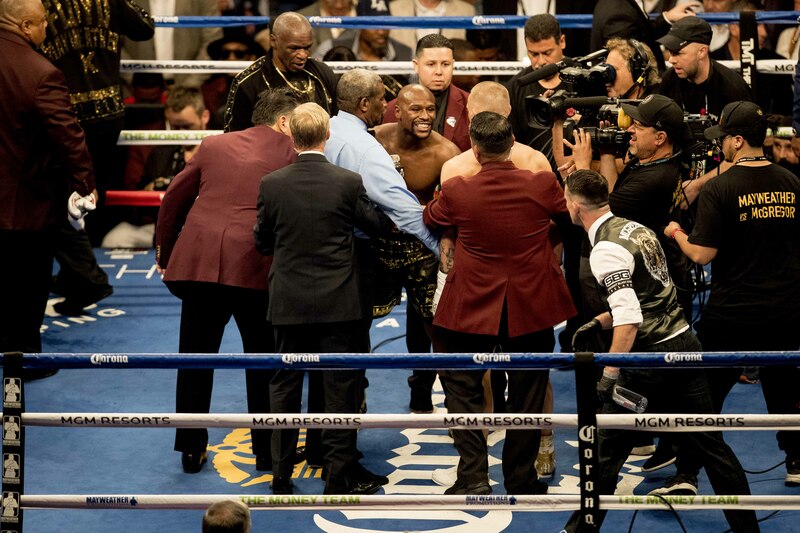 “Our game plan was to take our time, go to him, let him shoot all his heavy shots early and then take him out at the end, down the stretch,” said Mayweather, who led by scores of 89-81, 89-82, 87-83 at the time of the stoppage. 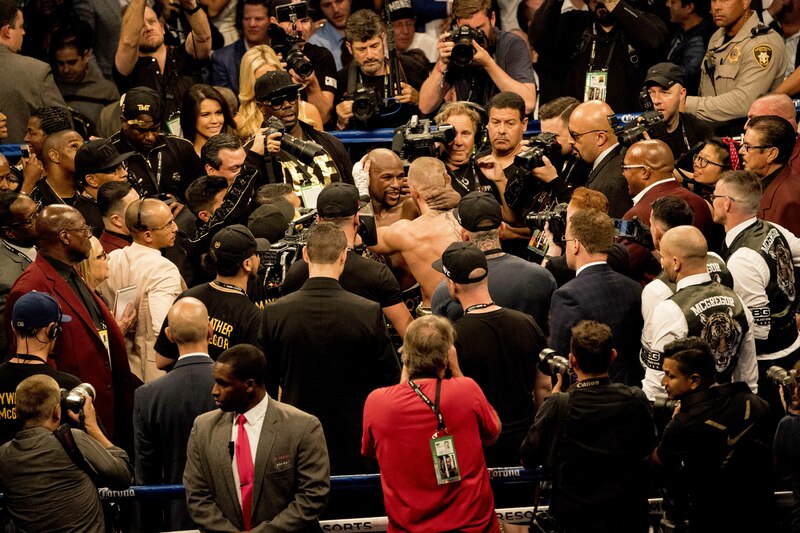 Twenty-five (25) pics from a SI photo gallery are below. 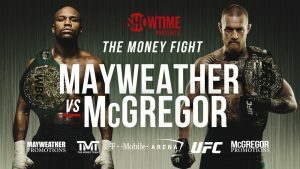 What did you think of the Money Fight? 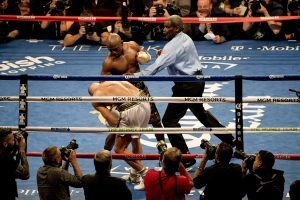 Do you feel you got your PPV money’s worth from the card and main attraction?